You know it. The tour with the guide holding up a sign, umbrella or some other object so you don’t lose your group. Though it doesn’t really matter if you do lose your group – it’s so large, you have to battle your way to the front to even hear what the guide is saying. And that’s not the only battle; if you want any decent photos, you’re no doubt sighing in annoyance as you try to avoid your fellow tour group members’ heads or, worse of all, their totally obnoxious iPads as they too try to snap photos of the sights. No, thank you! 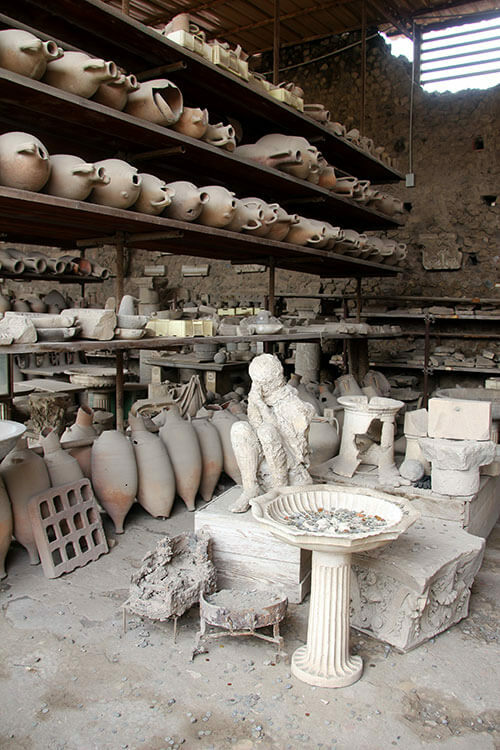 Instead, try this do-it-yourself tour of Pompeii. In 79 AD somewhere around 20,000 Pompeians went about their daily lives giving nary a thought to the volcano they lived alongside. August 24th would change their lives forever. On that fateful day as Mt. Vesuvius spewed, though much of the city was destroyed, Pompeii was also buried under 20 feet of ash and pumice. Centuries of history were sealed away until 1748. 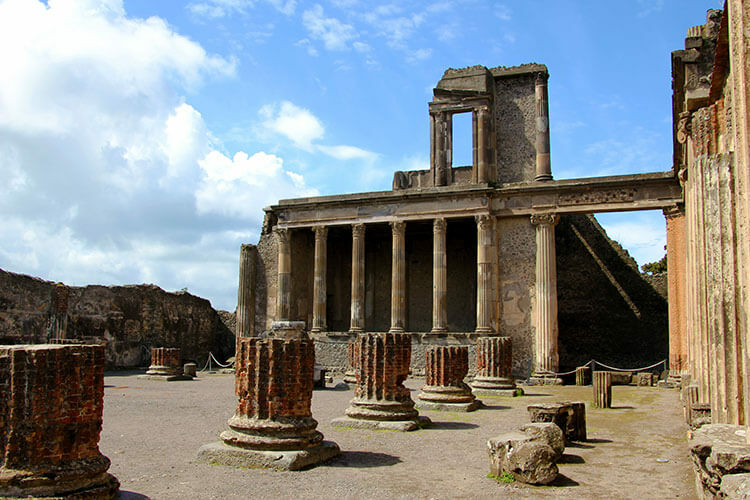 It was Rocque Joaquin de Acubierre that discovered Pompeii with intentional excavations after Herculaneum was accidentally discovered in 1738, when workers were digging the foundation for the King of Naples’ summer palace. Due to the lack of air and moisture, artifacts buried under the ash and pumice at both archeological sites were extremely well preserved. It’s no wonder that Pompeii is one of the most popular tourist attractions in Italy and some 2 million people make the trek south to see it every year. There are several ways to visit Pompeii: on a pre-booked guided tour, to hire a Pomeii guide on the spot (the going rate is €100-115 and official Pompeii tour guides are identified by a badge and certified as guides by the Campania region), to rent a Pompeii audio guide (which is simply a recording of Pompeii’s Little Red Book that hawkers will be pedaling near the Porta Marina entrance), or on a self guided tour of Pompeii. Your Pompeii ticket includes a map and small pocket guide to the site, which is excellent and leads you number by number through the not-to-miss sights at Pompeii. You can also download a great guide right on your iPhone with the Pompeii app to make touring Pompeii on your own a piece of cake. How long does it take to see Pompeii? That’s entirely up to you! 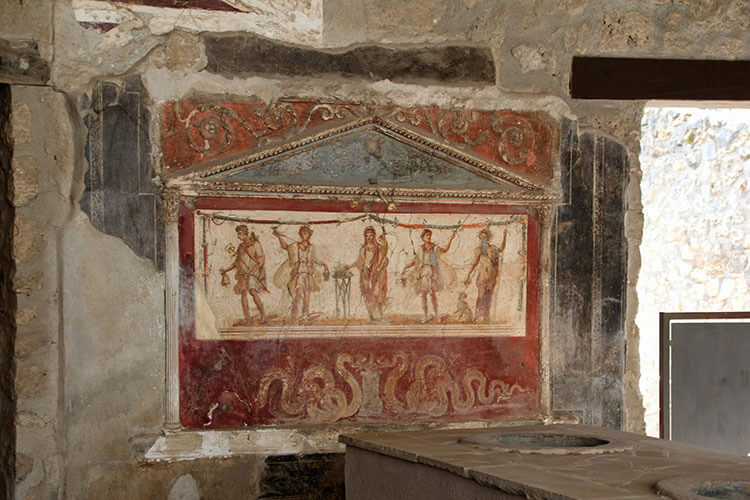 With a pre-booked Pompeii guided tour, most tours spend 3-4 hours visiting selective sites within Pompeii. 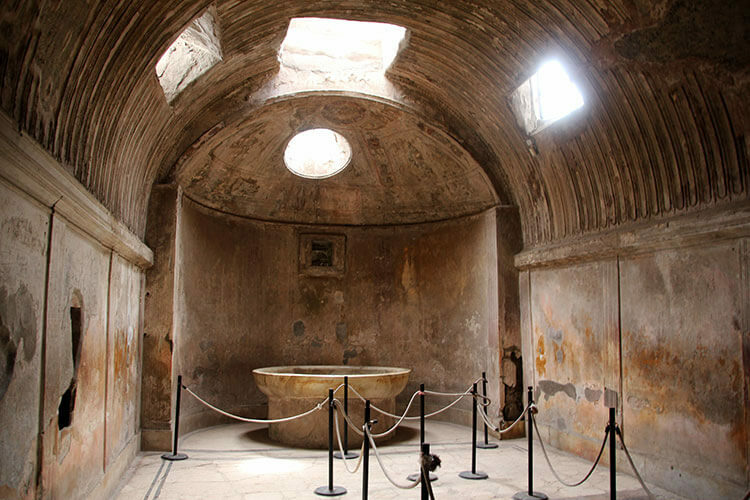 With a Pompeii self guided tour, you determine how much time you plan to spend or have to spend at Pompeii, and then plan your visit accordingly. You should allow at least 3 – 4 hours for your Pompeii self guided walking tour, and you can cover quite a bit of the site in that amount of time if you’re armed with the tools and a plan. Pompeii is big enough that you could easily make a full day of visiting it. Download your Pompeii – A day in the past app in advance of your trip. We like this app, though there are several more DIY Pomeii guides in the app store, because you can break down your visit by the amount of time you have to spend at the archeological site with a 2 hour, 4 hour, or full day tour. Browse the app by building and mark your favorites right in the app. You can also look at seven different itineraries to see which monuments and sights that interest you most are located near each other. If you really want to get a feel for the archeological site before your Pompeii visit, take a virtual walk through Pompeii’s ruins with Google Street View. You can also download this comprehensive free Pompeii guide PDF that is an explanation of all of the excavations by the Board of Cultural Heritage of Pompeii. As I mentioned, your ticket includes a map and small pocket guide to Pompeii, which leads you number by number through the not-to-miss sights at Pompeii. And if you’re not a great map reader, you can use the app with location services turned on to guide you from sight to sight (this function will require an internet connection). If you’re not on any sort of time schedule, you can always wander the site and use the location feature to tell you more about which building you’ve stumbled upon. The Pompeii – A day in the past app does a great job of providing information about each building and includes a Pompeii audio tour if you don’t want to read. If you use the audio guide feature, just be sure to bring headphones with you. It’s best to enter Pompeii from the Porta Marina entrance. Don’t miss the Forum, which was Pompeii’s commercial, political and religious center. 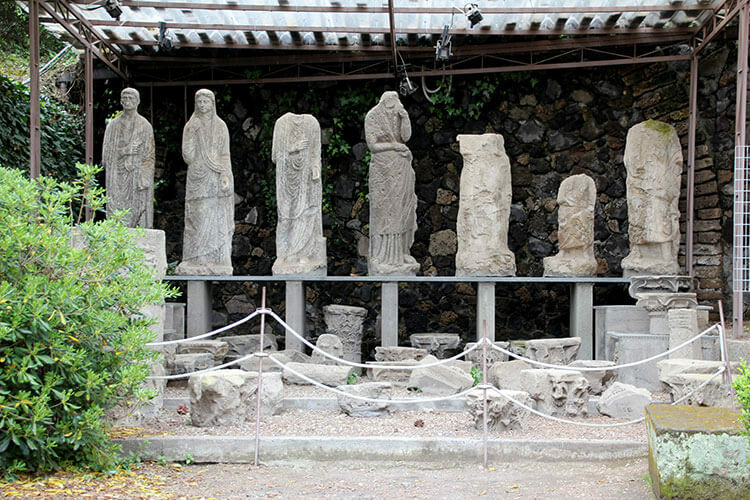 Alongside the Forum, visit the Grain Stores where you can see many of the plaster casts of Vesuvius victims. Clear on the opposite end of Pompeii and following Via dell’Abbondanza is the Amphitheatre, which was built in on the outskirts of Pompeii. It’s well worth the walk as the Amphitheatre is the oldest building of its kind in the world. Like the Colosseum in Rome, gladiators had bloody battles with wild animals while some 20,000 spectators watched. Continue wandering this end of the archeological site and make your way back toward the Porta Marina gate via the Necropolis. You’ll find many beautiful tombs and gardens and you’ll practically have the area to yourself. 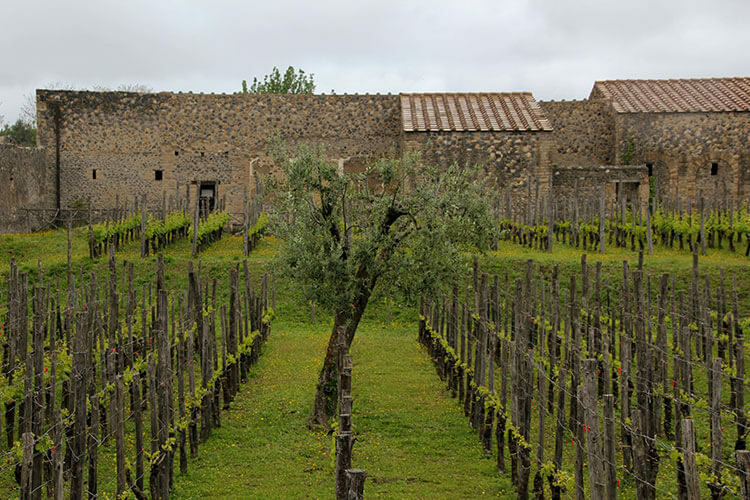 You’ll also pass by the Villa dei Misteri if you’re following this route, which is a project to cultivate grape vines and produce wine from the very spot where vines grew in Pompeii some 2000 years ago. Only 1700 bottles are produced and they are auctioned off, so you can’t purchase or taste this special wine unfortunately. But the vineyard set in the ruins is truly unique. Wear flats. The streets are very uneven and heels or even wedges are completely unsuitable for walking around the site. For this same reason, if you have little kids you’ll want to bring a carrier as opposed to a stroller, which we imagine would be incredibly hard to push over the stepping stones. Bring bottled water. It’s perfectly fine to bring it in and you’ll be glad you did with the sun blazing on all those ruins. You can even bring food in if you plan to spend the day at Pompeii. There is a restaurant on the ground, but there is also a picnic area near Amphitheatre Square and Casina dell’Aquila. It’s also good to know that any type of bag exceeding 30 x 30 x 15 cm is not allowed inside Pompeii. There are luggage deposit services available at all three entrance gates if you do have a bag that needs storing while you visit Pompeii. Walks of Italy is now offering a tour we must admit we’re dying to go on: Pompeii at Night. The tour departs from Rome with a stop for Naples’ world famous pizza before arriving at Pompeii for an exclusive tour of the ancient site by torchlight after it’s closed to visitors. How awesome does that sound? We’d love to explore Pompeii virtually by ourselves. 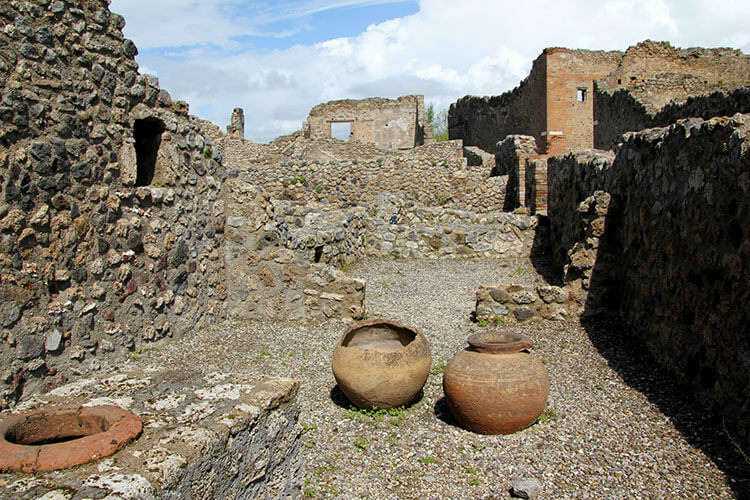 Walks of Italy also offers a Skip the Line Best of Pompeii Tour, on which their expert archaeologist will guide your small group to the best sights and tell you all about what they are. This is a good Pompeii walking tour for those not wanting to decipher a map. 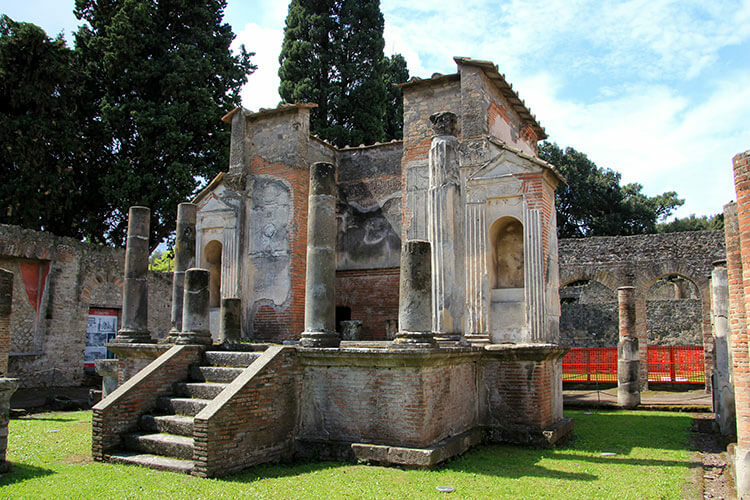 If you’re visiting Rome and want to take a day tour to Pompeii, the Pompeii & Amalfi day trip from Rome is the way to go. It makes for a long day (about 13 hours), but you’ll be able to sit back and relax. With just one day to visit the south, this small group tour makes it count with the guided tour of Pompeii plus a drive along one of Italy’s arguably most beautiful coastlines, the Amalfi Coast, and a stop in Positano. By train: Pompeii can be reached by train on Circumvesuviana. On the Naples – Sorrento line, use the Pompei Scavi-Villa dei Misteri stop. On the Naples – Poggiomarino line, use the Pompei Santuario stop. 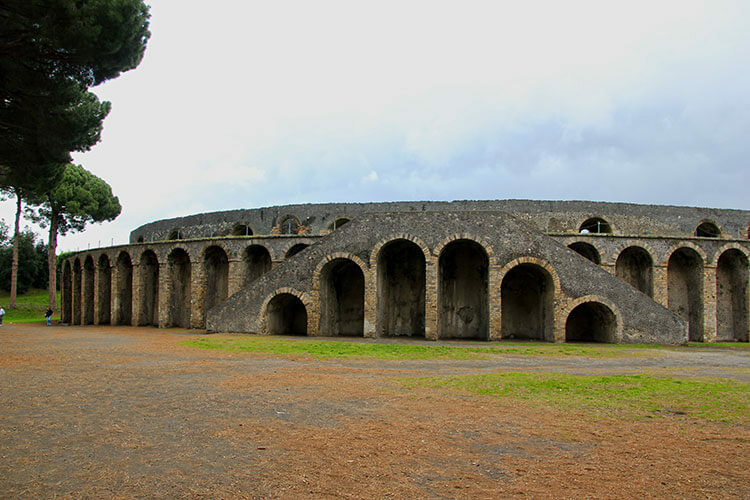 By bus: Pompeii can be reached by bus from Naples or Salerno on SITA. The stop is Pompei (Piazza Esedra). By car: Pompeii can be reached on the motorway A3 Napoli-Salerno (exit Pompei ovest) or motorway A3 Salerno-Napoli (exit Pompei est). Pompeii is open November – March daily from 8:30am – 5pm (last admission is 3:30pm) and April – October from 8:30am – 7:30pm (last admission is 6pm). Pompeii is closed on January 1, May 1, and December 25. Admission is €13 and is a single day ticket. A global ticket (Pompeii, Herculaneum and Oplontis, Stabia, and Antiquarium of Boscoreale) is available for €22 and is valid for 3 days. Audio guides are available at Porta Marina entrance in Italian, English, French, German and Spanish for €6.50 or €10 for two. There is a storage room for bags, strollers, and anything else you might not want to lug around Pompeii located at the Porta Marina entrance. This article contains affiliate links. 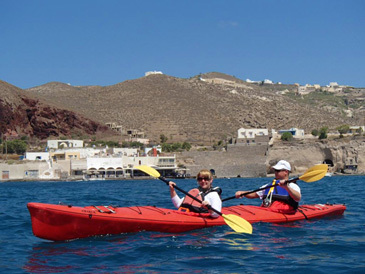 When you book on Walks of Italy through our affiliate sites, we earn a small commission at no additional cost to you. Gosh, I’m dying to get here. It’s been on my Italy list forever. Thanks for the great tips! You’ll love it Cheryl! 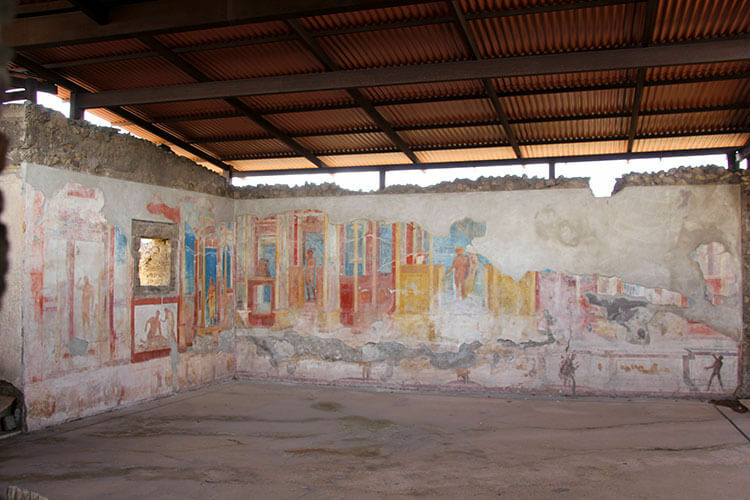 I wish we’d had time to visit Herculaneum too when we were there, so be sure to include time for that as well. DIY Touring is the only way I like to tour a place – I just don’t like schedules, especially when I’m traveling. Sure it’s nice having a guide explain everything, but you can always overhear what some guide is saying if the place is busy enough, haha. I just prefer to wander about and read the plaques at the sites. Though having a little guide book/app sounds even better! When touring sites like Pompeii, we also much prefer DIY. We want to be able to spend time at the buildings or monuments that interest us and quickly move on from those that don’t. Group tours, even if they’re small group tours, just don’t give you that flexibility. There are other things, like say a walking tour of a city or a food tour, where we loved short small group tours though. I went such a long time ago as a young teenager – I’d love to go back and try a DIY version of the tour. It really is the best way so that you can linger over areas you enjoy and move on from other less interesting parts. Thanks for this, I went about 10 years ago with a guide and we are taking our daughter next month and I’ve been debating whether or not to get a guide upon arrival or do it ourselves between this app and some guidance from Rick Steves. We really think that you can get just as much out of a DIY visit as with a guide – and save a whole lot of money in the process. Let us know what you decide and how your trip goes Tamara! I think I would have enjoyed my visit to Pompeii much more, if I wasn’t part of a tour group. Like you said, the groups are too big to hear anything anyways and, my least favourite part is how they rush you through the site. I much preferred my visit to Ostia Antica over Pompeii because I went alone and could linger as long as I liked, plus there were no crowds. I had the place practically all to myself! I would go back to Pompeii though to give it a second chance, but next time I would do a do-it-yourself tour! We saw tour groups and how they were rushed through. Definitely not our style! We haven’t been to Ostia Antica yet. We’ll have to check it out. Any place that doesn’t have a crowd entices us. I visited Pompeii a few years ago with a guided tour, next time I would definitely do a do-it-yourself tour as well. I’ve definitely got to go here…and I would much rather explore on my own rather than with a group! This is very useful! I admit I usually plan my travels, so these recommendations and tips come in handy! Awesome post thank you for sharing. Definitely keen to do our own tour rather than a group. We’ve downloaded the apps you suggested and can’t wait to see it tomorrow! Thanks for the great guide! We were planning to do an organized tour, but they are only 2 1/2 hours long! I think we\’ll try it on our own. 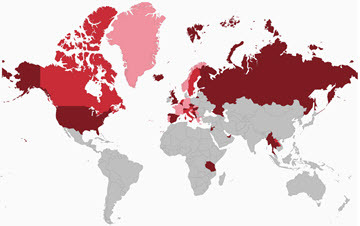 Do you have any recommendations about a place to grab something to eat? Thanks! There are several places just outside of the Pompeii ruins, but we’d suggest Il Ristorante Maccarone. They have really good pizzas and other dishes typical of the area. Thanks for the great details here. I’m planning a visit to Pompeii on a cruise stop at Naples. I had planned to take a guided tour that included the Vesuvius but my wife thought it would be to hard so after some research, I ended up on your Do it yourself guide of Pompeii so we’ll give it a try based on your tips. I’m also taking note of one of your restaurant tip Il Ristorante Maccarone as we’ll have some time to eat before getting back to the ship. 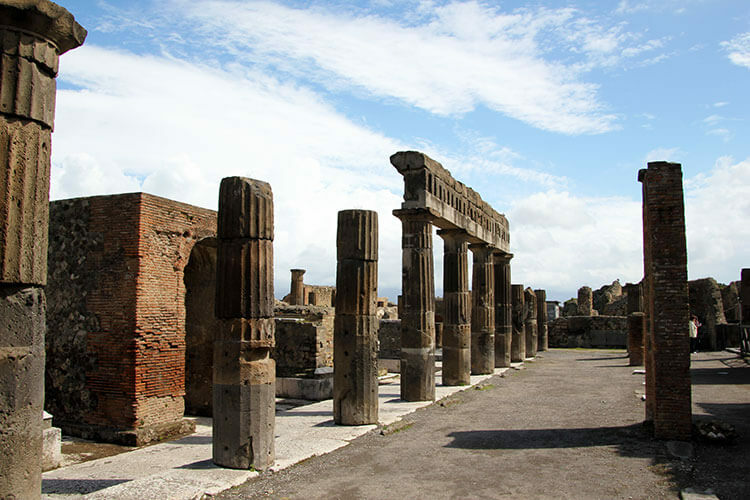 Do you have some useful information to get to Pompeii from Naples’ port (taxi, train, bus, else)? It would be quite expensive to take a taxi to Pompeii and the traffic in Naples can be atrocious. The center of Naples is easy walking distance from the cruise port, so you can easily take the train to Pompeii. Pompeii can be reached by train on Circumvesuviana. On the Naples – Sorrento line, use the Pompei Scavi-Villa dei Misteri stop. On the Naples – Poggiomarino line, use the Pompei Santuario stop. We are visiting Pompeii on 22nd July and I keep seeing different views on booking ‘skip the line’ tickets for Pompeii Ruins. We are going independently and this post is the best I’ve seen so I’m confident that the replies will be very useful. We didn’t have to wait in line long, and that’s typically the case if you arrive at opening. Peak time at the ticket offices is from 10-11am when most groups and visitors arrive. Especially in July, it’s best to go early anyway because it just gets so incredibly hot. TErrific article, thanks. I want to go to Opolontis and Herculaneum. Any info on DIY tours or tour companies offering that? Can one combine two of these in one day? Was an amazing tour!! Thanks. Pompeii is awesome but very hard to visit. We have used the app you suggest, Pompeii, a day in the past) perfect! We’ll follow you everywhere . No, there are toilet facilities throughout the archaeological site, not only at the entrance. As for the walk from the train/bus, the closest stop is the Pompeii stop. It is about a 20 minute walk to the entrance of the archaeological site, and it is flat.